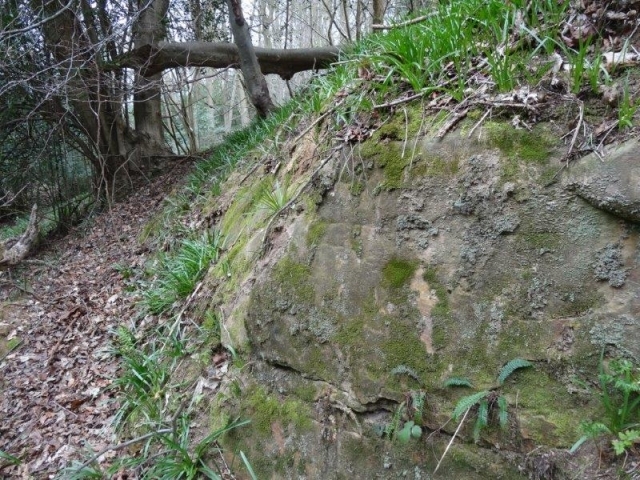 Kent Field Club’s meeting at Hungershall Rocks on 11th March 2017 came 54 years after their previous visit to the site. In company with the British Bryological Society they re-found the moss Tetrodontium brownianum on the same cave roof where they discovered it in 1963. The liverwort Scapania gracilis was also re-found on a boulder, which remains its only site in Kent. A great new discovery was the liverwort Marsupella emarginata var. emarginata. Large patches of this species were found on a rock face, the first record from Tunbridge Wells since 1840.